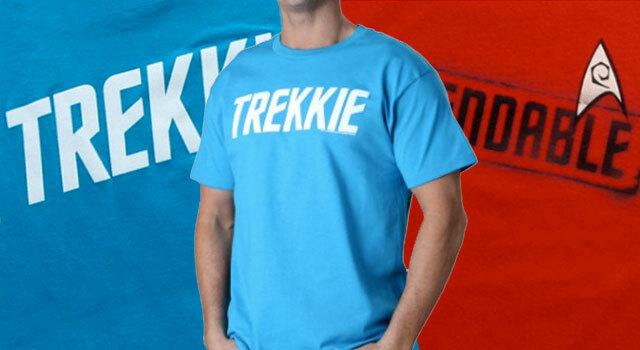 In partnership with T-Shirts.com, TrekNews.net is giving away some new Star Trek t-shirts to our social media followers. As Star Trek fans, most of us love to collect. From Blu-rays and DVDs to autographed photos, models and action figures. Before you know it, you’ve have quite the “Trek Stash”. So why not add a new t-shirt to that collection? 1. Follow @TrekNewsNet on Twitter and tweet us a photo of your favorite Star Trek item in your collection with the hashtag #TrekStash. Random winners will be chosen and contacted at the conclusion of the give-away, on February 28, 2014. Check out T-Shirts.com’s full line of Star Trek T-shirts.